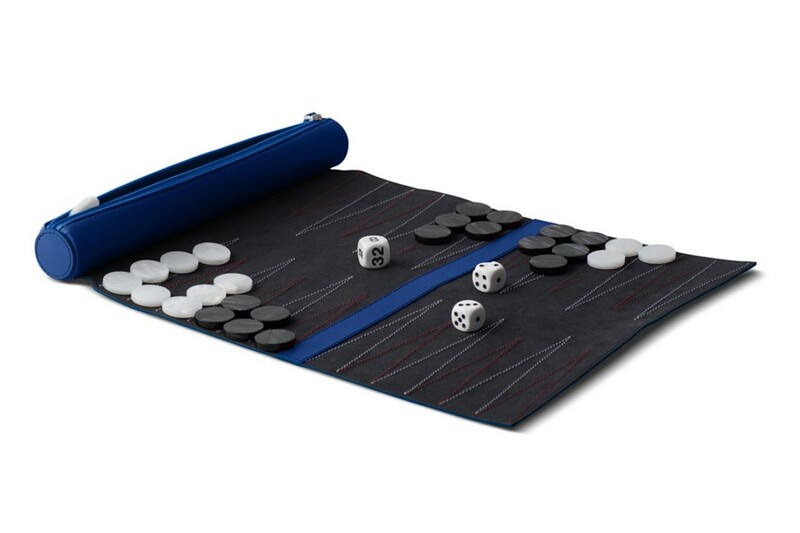 Portable version of backgammon for easy transport while travelling! Leather pouch for for chequers and dice. 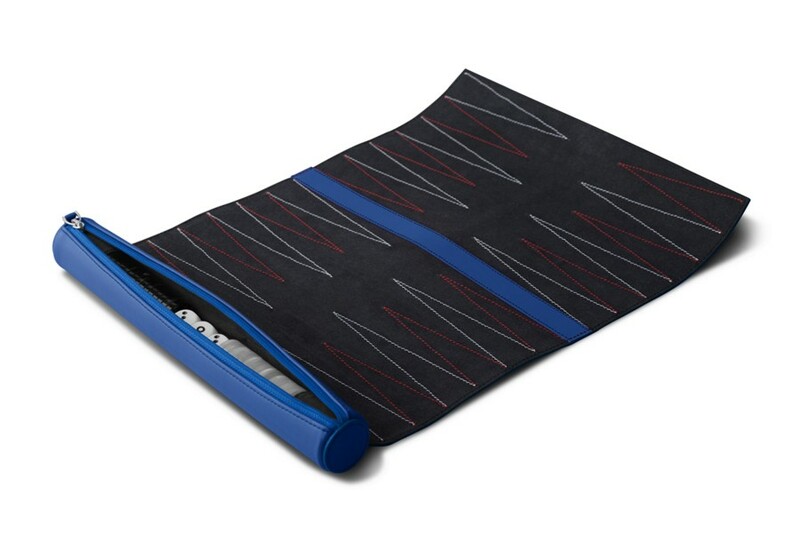 Leather play board with microfibre interior. Points in black red and white. The leather color can be chosen although the microfibre will always be black. Includes 3 dice and full set of chequers. Dimensions rolled up: length 11.2 inches, diameter 1.8 inches. 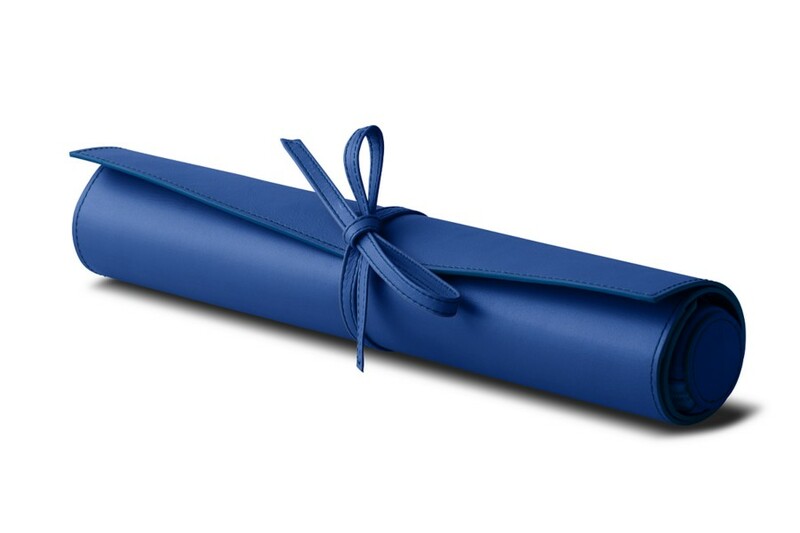 Dimensions unrolled for play: 11.2 inches x 14.2 inches. Closes with a leather lace.